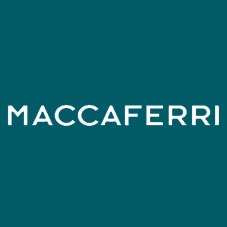 multinationals: Maccaferri Industrial Group (through its companies Officine Maccaferri SpA and SAMP SpA) and RadiciGroup (through Radici Novacips SpA), was among the proposals selected for the European Commission’s LIFE+ programme, the European Union financial Instrument for the environment. Objective of LIFE-Inno.Pro.Wire: to design an innovative process with a lower environmental impact for producing extruded steel wire to be used in metal net protection and containment structures. LIFE-Inno.Pro.Wire, a sustainable innovation challenge. This all-Italian pilot project, stemming from a partnership between two major Italian industrial multinationals, Maccaferri Industrial Group and RadiciGroup, has been awarded financial support for a period of 3 years by the European Commission’s LIFE+ programme, the European financial Instrument for the environment. The LIFE-Inno.Pro.Wire project aims to design an innovative process with lower environmental impact for producing extruded steel wire to be used in making metal net protection and containment structures. The sustainability aspect of the project is the use of polyamide 6 (PA6 engineering plastics from the RADILON® range) as a viable alternative to PVC for coating the steel wire. Indeed, the entire traditional process, in which steel wire is plated with a very thick zinc coating layer and then PVC coated, is an energy hog. The idea put forth by Officine Maccaferri – world leader in the research, design and manufacture of advanced environmental civil engineering solutions – is the development of a new and innovative production process in which the zinc coating process is minimised. Polyamide 6 plays a central role in this project, because, compared to PVC, it ensures better technical and environmental performance. COMPARED TO PVC, PA6 PROVIDES SUPERIOR MECHANICAL CHARACTERISTICS, which will allow the project to: experiment and minimise the steel zinc-coating process; reduce the coating thickness, and thus use less plastic for equal performance; and, lastly, make the end product more long lasting.